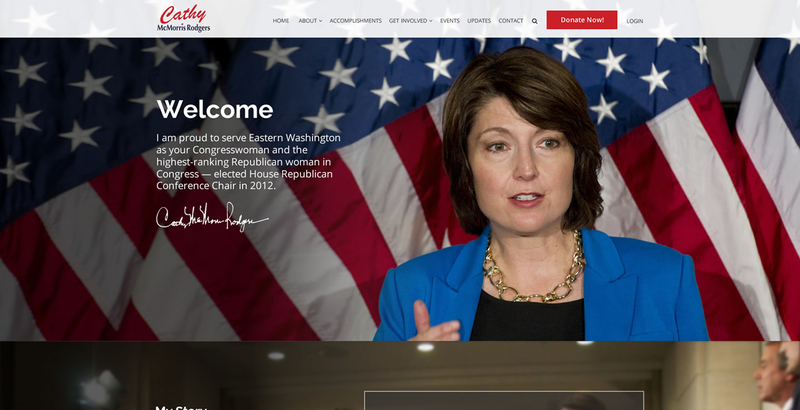 Cathy McMorris Rodgers is dedicated to solving the toughest problems facing Americans today. She is proof that in America, with a positive attitude, hard work, and dedication, we can rise from humble beginnings to important positions of leadership. 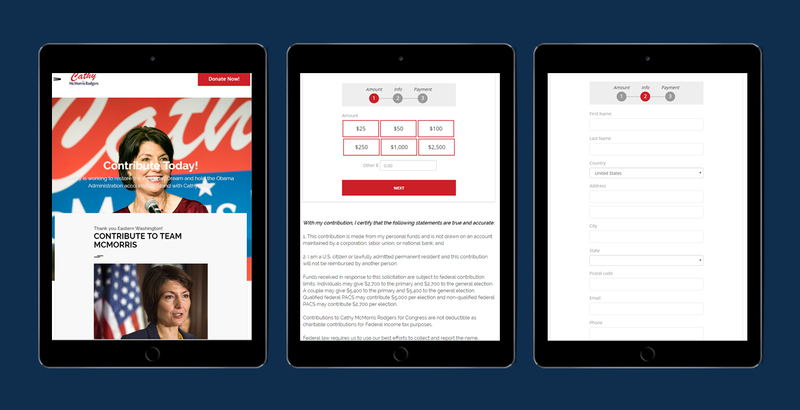 As the U.S. Representative for Washington’s 5th congressional district, MediaTown is pleased to have had the opportunity to work on a number of digital campaigns, including most recently her 2016 NationBuilder website. 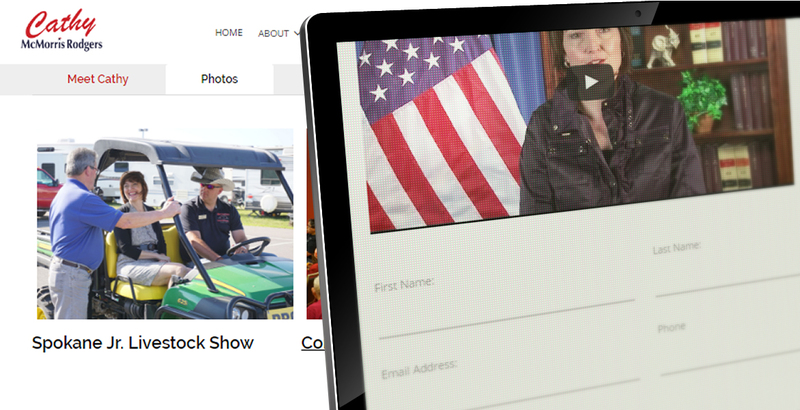 The biggest digital problem facing any candidate, is generating donations online. 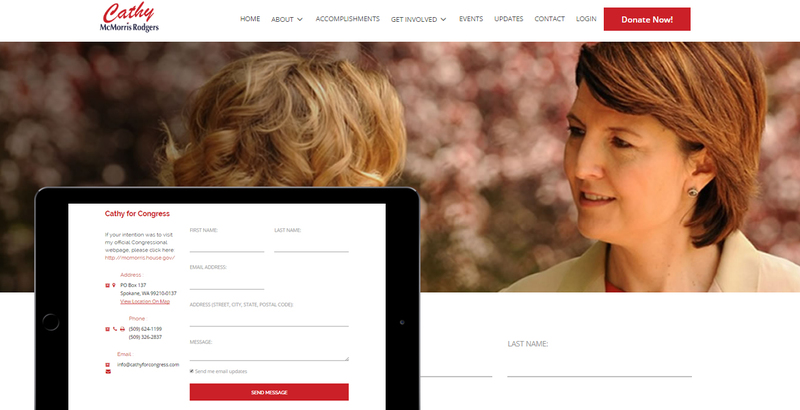 Cathy McMorris enlisted the help of MediaTown to do just that. 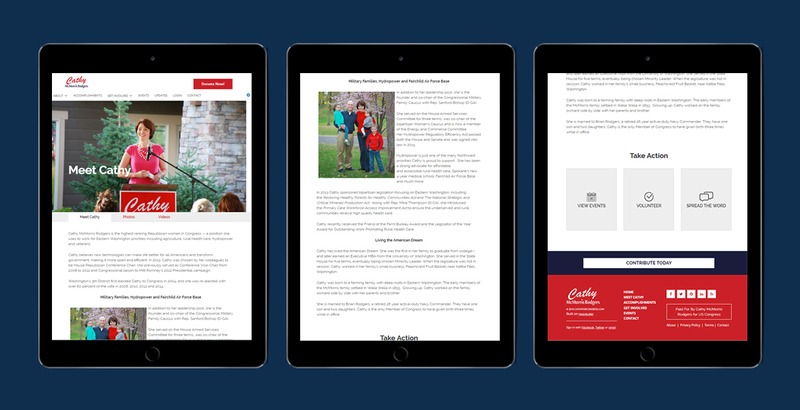 The MediaTown team implemented custom Nation Builder tool throughout her campaign’s website, aimed at increasing voter donations, and most importantly, getting Cathy elected. 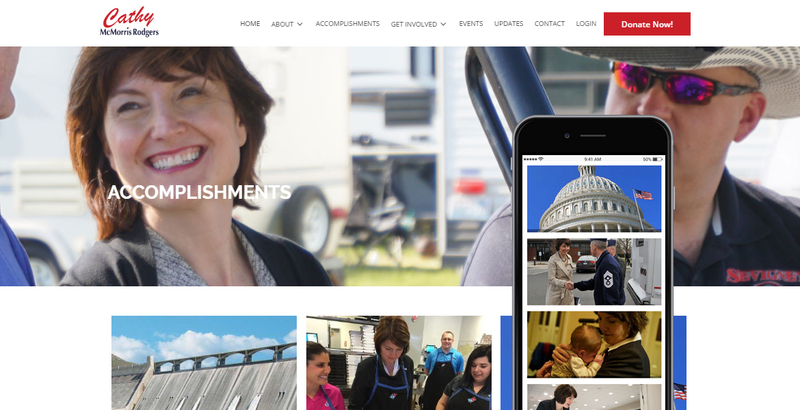 Cathy McMorris was then elected in 2005, and still serves as the U.S. Representative for Washington’s 5th congressional district today.